Magic Gavel Basic is a meeting essentials tool developed by Simpalm. 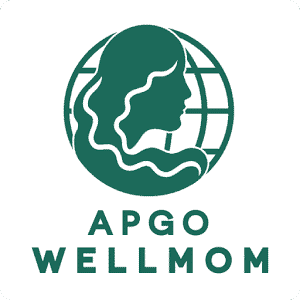 The App helps to drive a meeting, whether you are the president, officer, director, trustee, delegate, member, attorney or advisor. This platform support and follows the meeting rules of Robert’s Rules of Order (RONR) and AIP Standard Code of Parliamentary Procedure (AIPSC). All you have to do is set the toggle for RONR or AIPSC, touch the button, and view the rules. 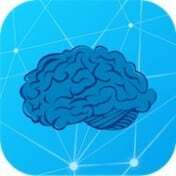 We have designed both phone and tablet versions of Magic Gavel App. 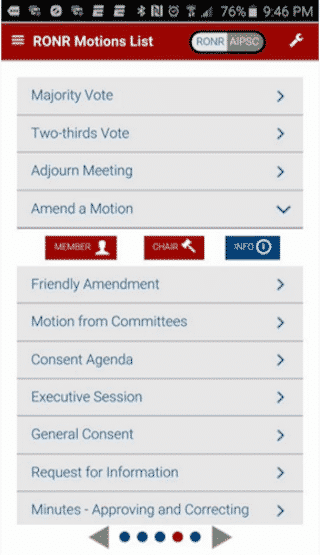 We also have implemented Magic Gavel Meeting in this Magic Gavel Basic App. 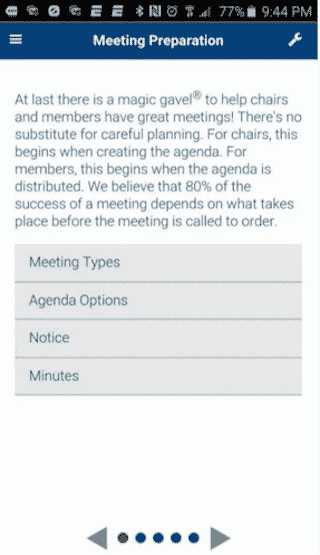 User can access basic rules, type of meetings, agenda development and executive sessions for meeting preparation. 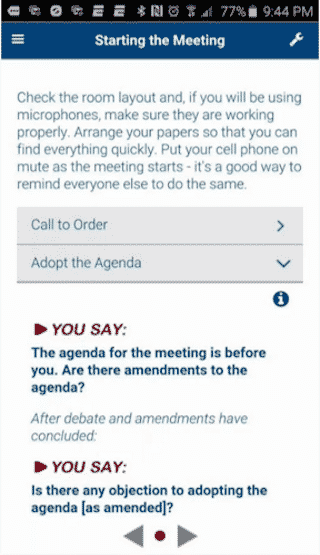 User can access how to call the meeting to order, adopt the agenda, consent agendas, approve minutes, and handle reports. 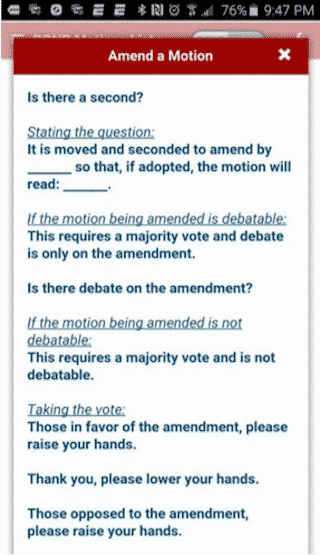 User can access list of motions by specific language, basic rules for debates and debates strategies. User can also create speaker list to correctly recognize members. At the time of meeting ending, user will have complete agenda and choose to adjourn the motion. User can access most common 30 exclusive lists of motions. 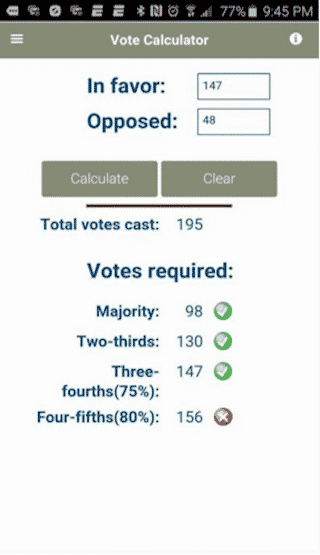 User can access Vote Calculator to check whether a motion has passed or failed. User can access Notice Calculator that will tell you to the last day on which you can send notice in accordance with your governance document. User can access Qourum Calculator to calculate the majority of delegates by number of percentage required and number to which it applies. 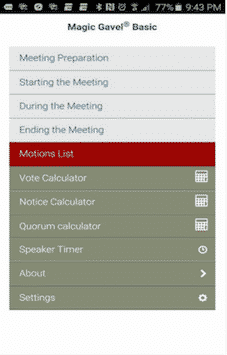 User can access Speaker Timer to limit the time for speakers to debate a motion. User can handle consent agendas, reports, executive sessions in the meeting. Magic Gavel was a challenging project that had to be done with several tools like meetings, agendas, calculators, and motion rules with respect to meeting rules of Robert’s Rules of Order (RONR) and AIP Standard Code of Parliamentary Procedure (AIPSC). We had to combine everything inside the one app. App had to be well specified for professionals and delegates. We achieved this by adding a hamburger menu in the app to make it easier for users to access various tools during the meeting. Magic Gavel Basic has features like Meeting Tools, Motion List, Calculators, Agendas, and Timer Capabilities.